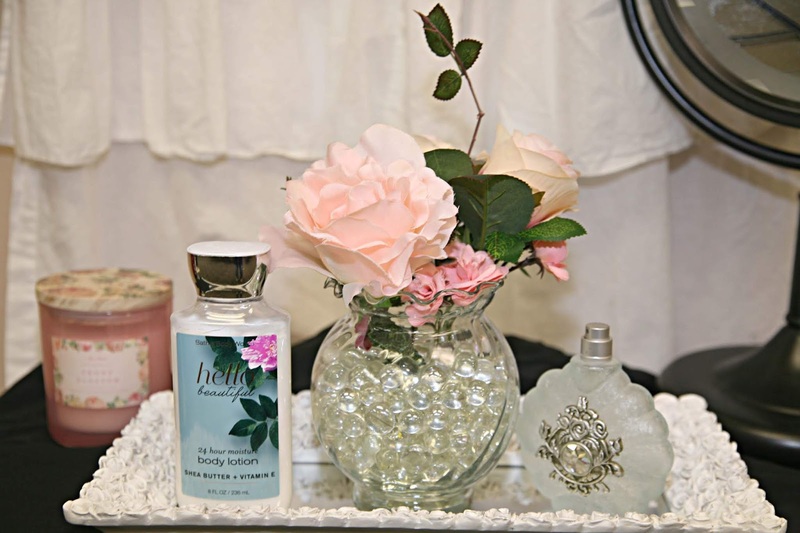 Well, who wouldn't want to go to a ladies event with this pretty vignette to look at? 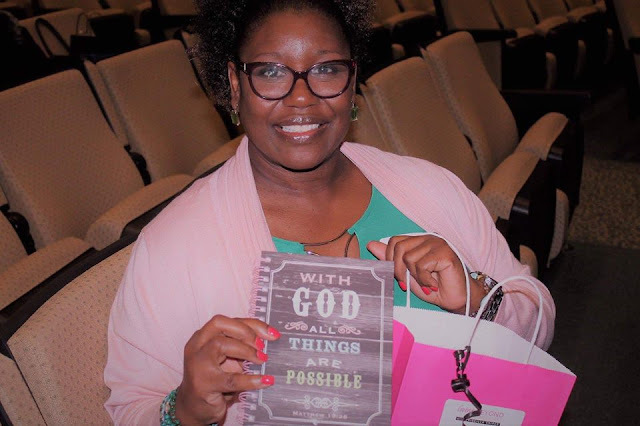 Our church was a host site for a Simulcast with Bible Study teacher Priscilla Shirer over the weekend and we had such a good turn out and a wonderful time of fellowship. I made lots of pictures and wish I could share them all but to keep from doing picture overload I'll share just a few. Just the cutest decor ever! The flow of the decor went together like peanut butter and jelly! Each table was adorned with a pretty centerpiece. 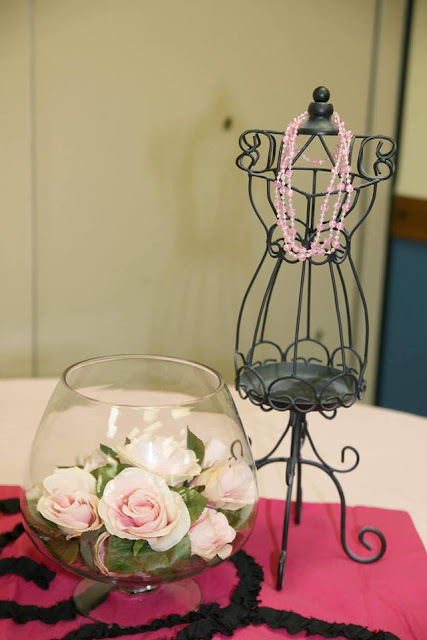 The food and drink tables were so beautifully decorated. The morning of the event we had a huge array of breakfast casseroles, muffins, pastries and fruit. For lunch, Chick-fil-A catered. If you left hungry I can assure you it was because you did not eat! So many wonderful desserts to choose from as well. This sweet girl right here is our Ladies Ministry Team leader. I handed down the torch to her a few years ago and this sweet thang took this ministry and ran with it. She does a wonderful job at everything she does and has the sweetest servant's heart. I have been blessed to be able to mentor her, love on her and watch her grow into a wonderful woman of God. Yep, us women can get a little CRA-CRA at times. 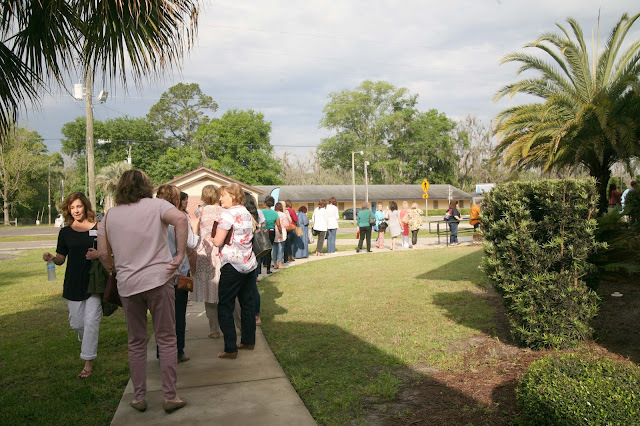 Everyone headed to the sanctuary after breakfast for some praise and worship time and teaching. Our main theme scripture was Ephesians 3:20. HE IS ABLE! 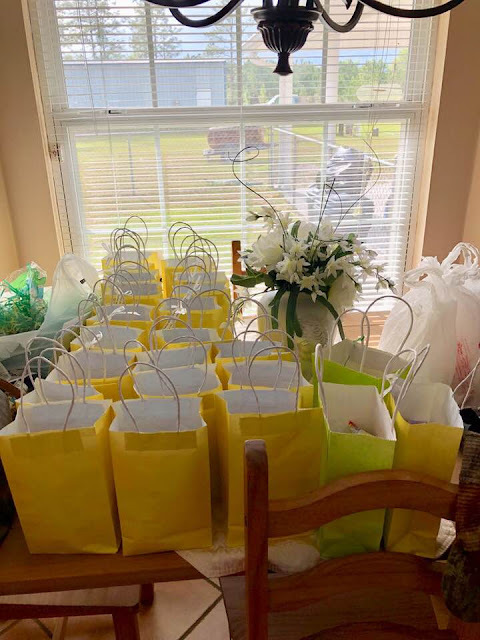 Every lady that attended received a goodie bag. We bunch of grown women acted like a kid at a candy store pilfering through our goodie bag to see what all we had. LOL! Our study guides for the day with plenty of places to take notes and also a wealth of information inside. This powerful picture was taken during Praise and Worship time. 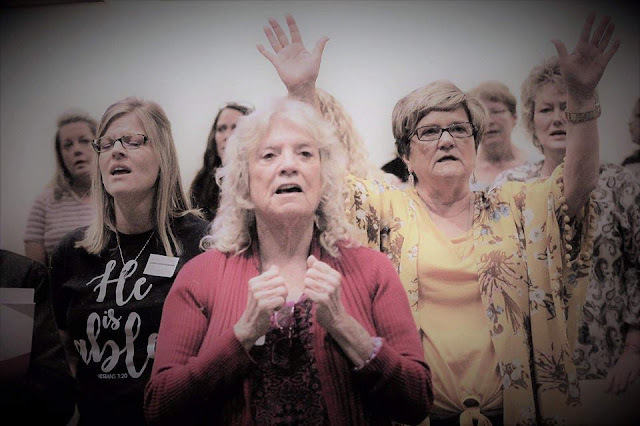 There is nothing like witnessing a group of women, all ages, different races, different denominations and a different walk in life come together to worship and praise the King of Kings. 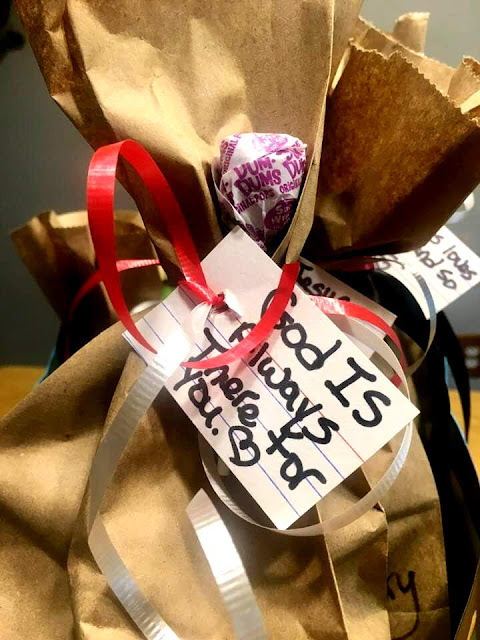 Speaking of goodie bags.....Our Sunday school class adopted our local EMS/Fire department in our county. Our goal is to pray for them first and foremost but also to minister to them in different ways. 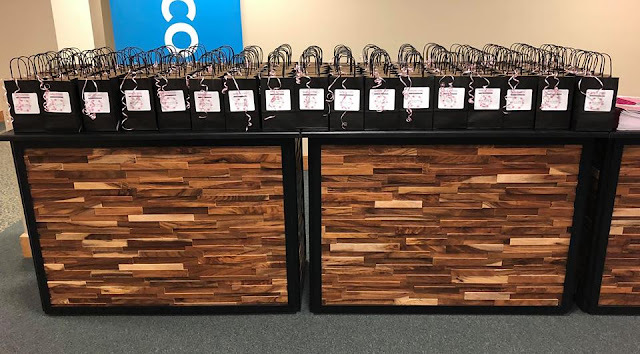 For a kick off for our newly adopted ministry one of our Sunday school teacher's wife made goodie bags for each employee. She had everything in those cute bags that you can imagine. 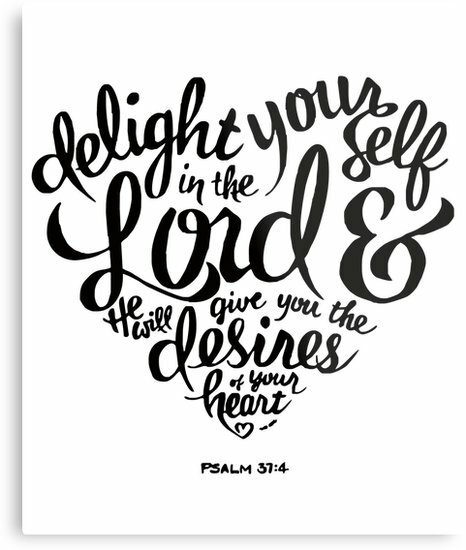 Baked goods, items purchased and of course, scripture. The EMS/Fire crew was very appreciative. Each of our Sunday school classes has adopted an organization in our county to minister too. 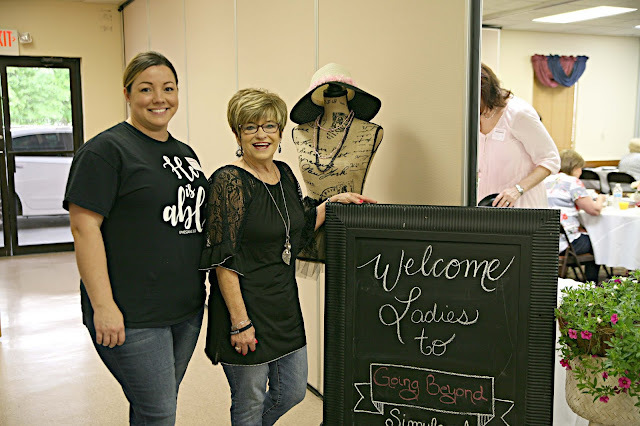 What a wonderful way to minister to community. I am so blessed to be a part of a church that not only reaches INWARD....but they reach OUTWARD. Goodie Bags seemed to be the hit this weekend. Our granddaughter Mallory plays travel ball and those girls are just so sweet. So this Nana had to do the travel ball team a little goodie bag too. 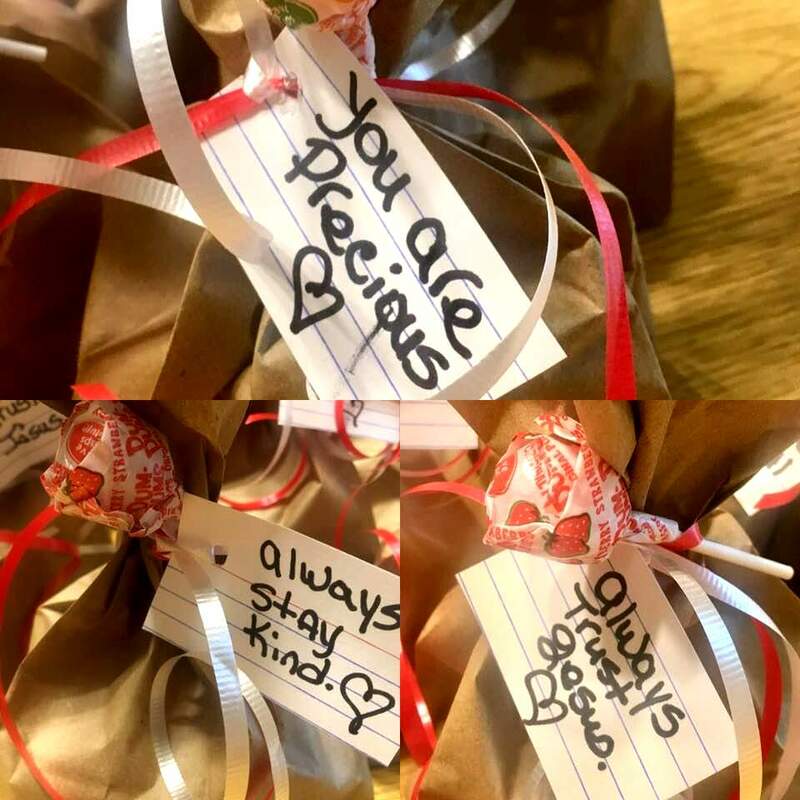 You know...here's the thing....You never know how one little act of kindness will minister to someone.It might be an invite to a ladies event, a baked good in a goodie bag with the words...."We just want you to know that we would be honored to pray for you", or a simple brown paper bag with treats for a bunch of softball players. No amount of Kindness is ever wasted. Oh I must share these two beautiful granddaughters. 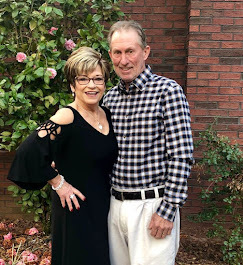 They had the opportunity to attend "Disney on Ice" and they both were amazed and had the best time. Needless to say they both love them some ELSA! 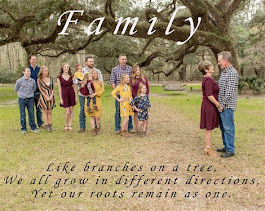 And I worked on a little project for my granddaughter's 3rd birthday pictures.The finished project turned out great and I can't wait to show you some of the pictures. But not before her mama sees them.....Hee-hee. AWESOME POST!!! (sorry for shouting, grin)---I don't even know where to begin....praying for your EMS/Fire Dept= AWESOME!!! P.S. My brother is a LT. for the Lake County Fire Dept. What a wonderful post, my friend. smiles. Well this has made my day! What a wonderful conference and so pretty. All the pictures are so adorable. Your little princesses are just too cute. We carried youngest granddaughter to Disney on Ice a few years ago and it was so much fun. 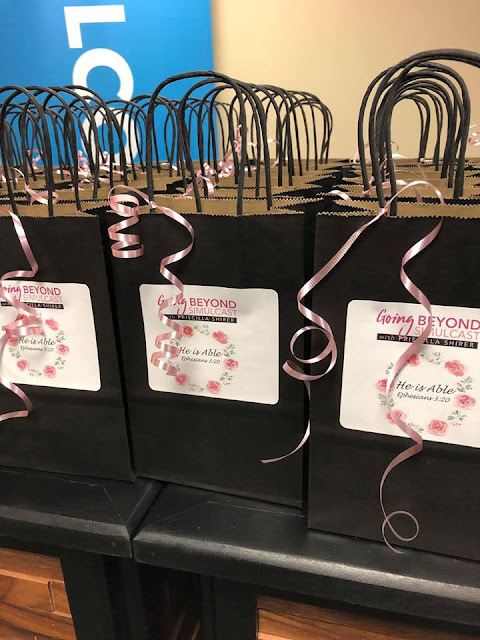 Those goodie bags...WOW! I bet your granddaughter's ball team enjoyed them and how wonderful that your class has adopted this organization in your community. Great idea. May need to pass this on to our Sunday school class. Great post Cindy. Can't wait to see teepee and granddaughter's picture. Send me one through email when you can. Connie, check your email. 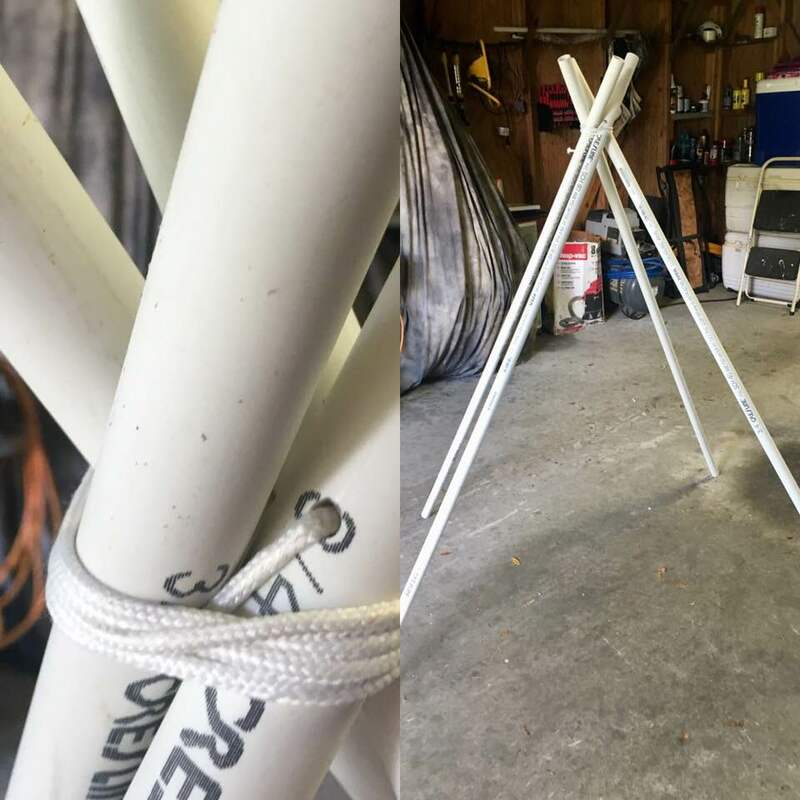 Teepee was easy peasy. 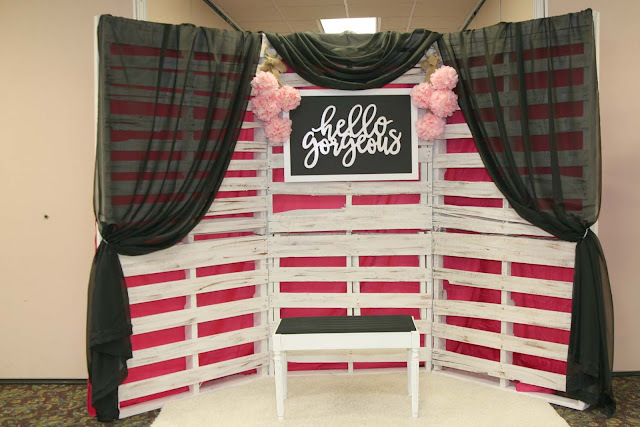 Made the cutest backdrop for her pictures too. Our Sunday school teacher and his wife was thrilled to go and minister to the EMS/Fire department and we are planning on trying to do something every other month for them. But more importantly we wanted them to know we would pray for them. I think so many times we all get caught up in doing for OUR OWN...which we should...but we forget about doing for others. Glad to be able serve in some way or another. 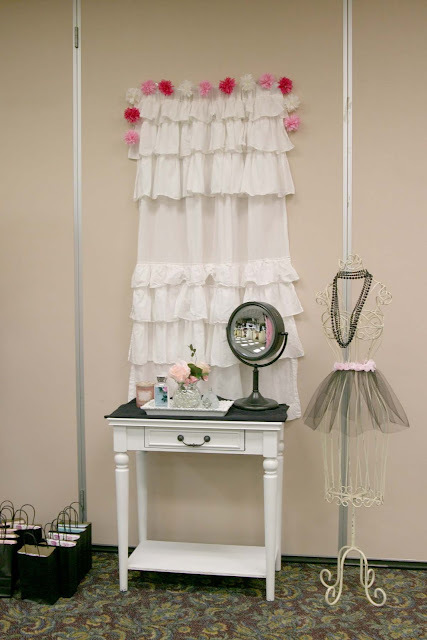 What cute props and set up. I love the pic of you and all the others! That is so adorable. Thanks Kitty. Have fun lady and be careful. The Ladies event looks like a lot of fun. The decorations are so pretty!!! Talking of pretty...those two granddaughters are just precious. Thank you so much. 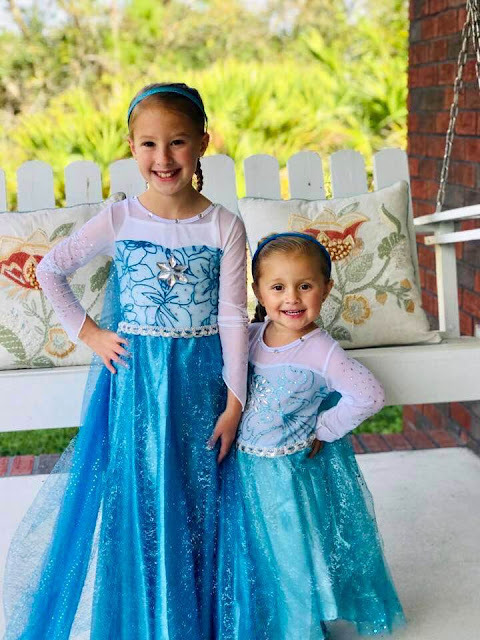 Those girls love Elsa and they surely had a great time at Disney on Ice. 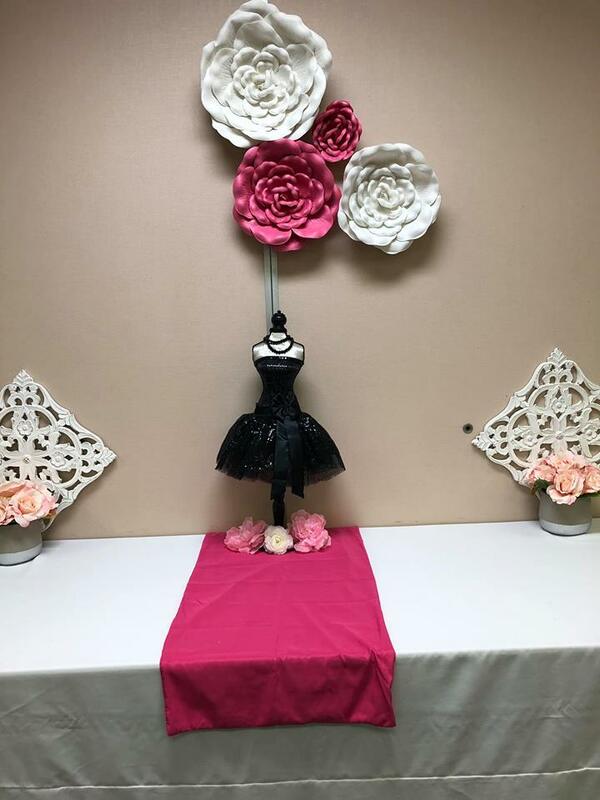 The ladies event was really sweet. I know you will have fun at your event too Lea. Can't wait to see pictures. Yes, we would have a ball together! What an inspiring post! 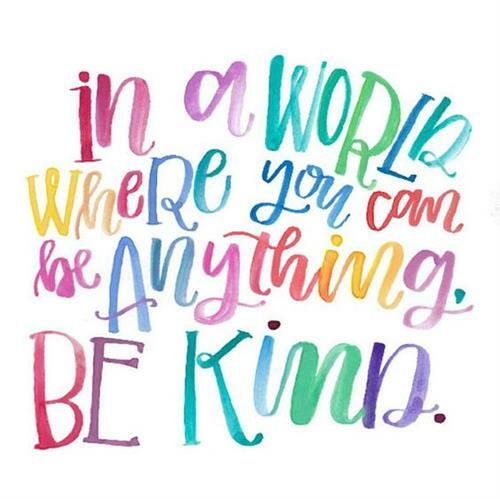 Kindness is just what the world needs right now. Thanks Margie. I've always said that really the thing that people want and desire whether they act like it or not is just for a little kindness. It sure goes a long way. 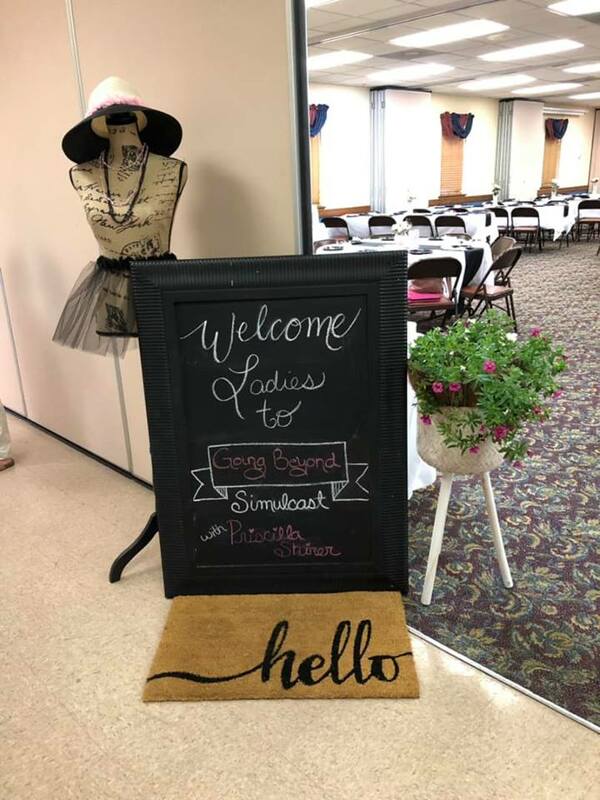 Oh, it looks like you ladies had such a wonderful time!! 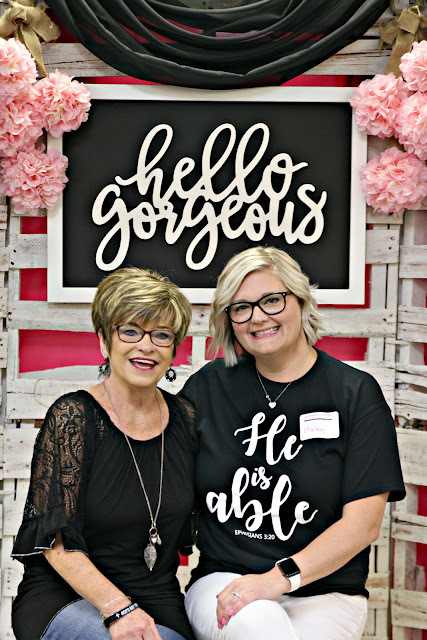 I love Women's Ministry events. Back home in Alabama, I was heavily involved in the Women's Ministry and led our Women's Ministry for a few years. We used to have the best time! I love Priscilla Shirer...she is just AWESOME!!! Love the pics of the grands also...so beautiful! Love and hugs!! Thanks Benita. 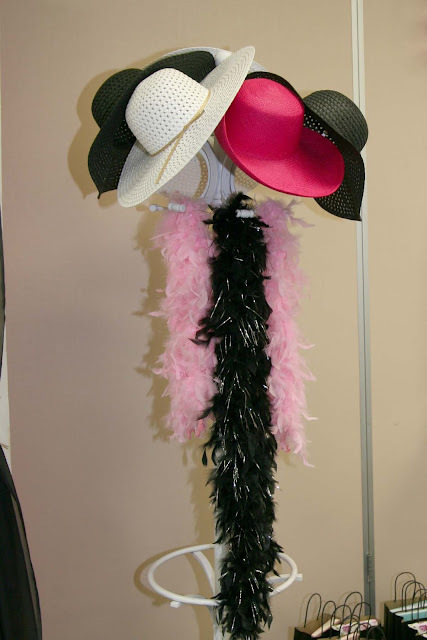 I bet you decorated for those events too with your crafty self. I too like Priscilla Shirer a lot. Can't wait to see the latest movie with her in it. Oh we will worship together one day dear friend. It is going to be a wonderful time too. Thanks for your sweet words on my grandgirls. Today is Adalynn's 3rd birthday and I just can't believe she is already three. 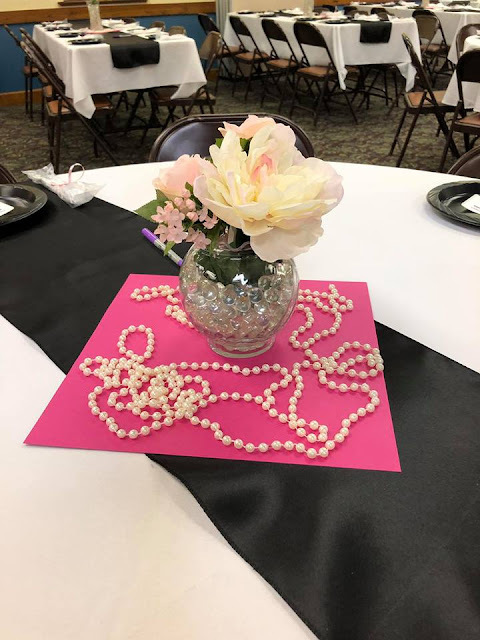 What a wonderful event, Cindy! Everything looks so inviting. Your decorations were so cute and I can feel the excitement and anticipation of Priscilla's simulcast. You did a great job! Bonnie, actually, this was one time that I walked in and sat down! LOL! Felt kinda strange for me to do that but on the flip side it felt kinda good. Training these younger women to carry the torch and I couldn't be more proud. That brunch looked so lovely! They always decorate it so perfectly!! Love your little princesses! Goodie bags are my fave! Thanks Heather. Who doesn't love a goodie bag, right? LOL! ...and "kindness" is your middle name, my dear precious friend! I cannot tell you how thankful I am that we met through blogging! This is one great post...and how much fun did you "girls" have at that scrumptious looking and sounding event?! You are right...it's those little acts of kindness that make all the difference in the world! Oh...those precious babies are so adorable in their matching outfits too. Are you making a tee-pee??? :) HUGS to you dear Cindy! What a wonderful, inspiring post! I can't wait to see what you made for the birthday party! 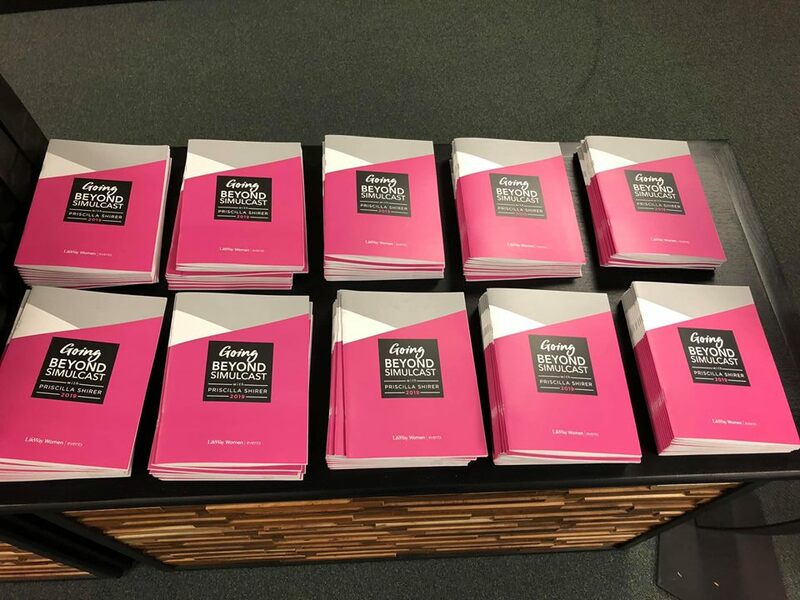 Your women's conference looked amazing, and Ephesians 3:20 is one of my favorite verses of all time. I cling to that in so many of my current struggles. May the Lord bless you as you continue to minister to so many and are such a blessing to us all! What an uplifting experience! And how sweet to make the Travel ball goodies! Your grands are so lucky! Thanks Jenna . I love going little things like that fur the kids and their friends . Our event was really nice . 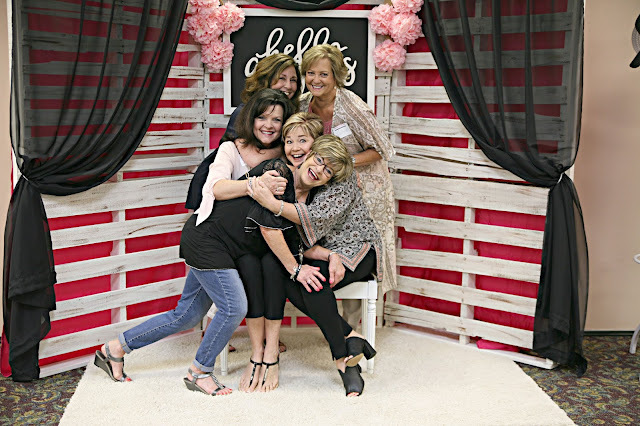 Cindy, what a fabulous time all of you ladies had at the simulcast! It is so encouraging to be with fellow believers! I love that your SS classes are doing community outreach! Your little Elsa’s are beautiful! Hugs sweet friend! Pam your comment showed up twice so deleted one .😊 thank you so much for your kind words. 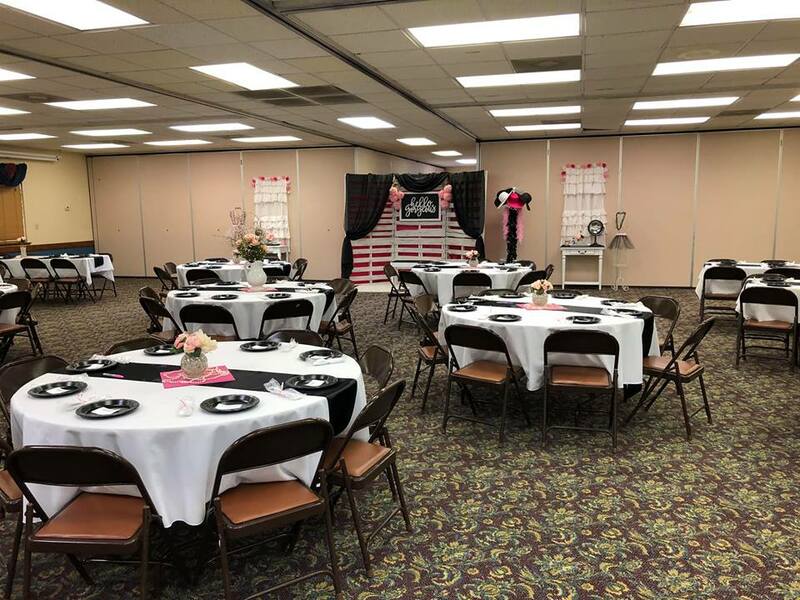 Your Ladies' Ministry does it up right! When I first came back to my church I joined the LM to meet new people and that is how we did all the events we had and they were every month. I had to quit due to multiple health issues and I am sorry to say that the events are no where near what they used to be. It was refreshing to see such a display of love that went into that whole event. Your granddaughters are beautiful in their gowns! P.S. our ladies had the same simulcast with Priscilla at our church on Saturday also. I had to miss it for a memorial service. Awe, I bet you do miss helping with the LM. 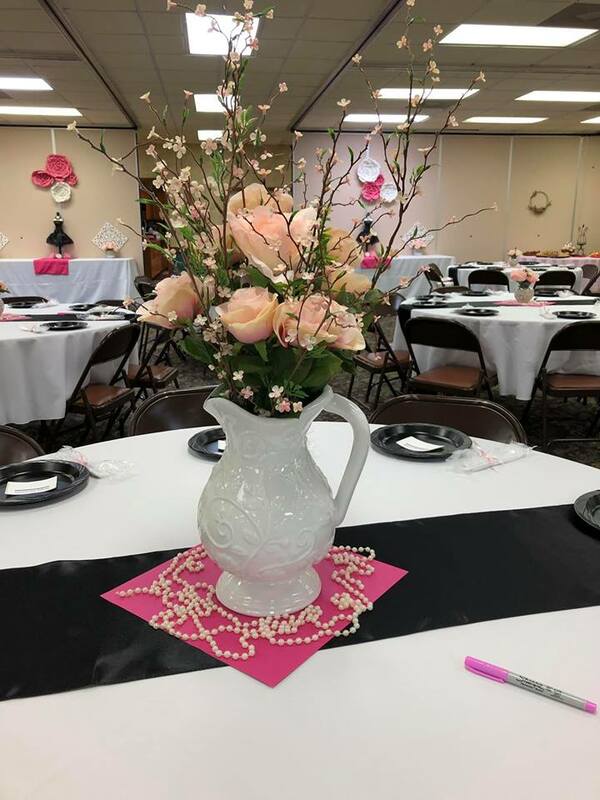 Our younger women has really stepped up to the plate with our events and I will tell you that it is a blessing to see and witnessed these gals in action for the Lord and reaching out to others. The simulcast was really good. POWERFUL! 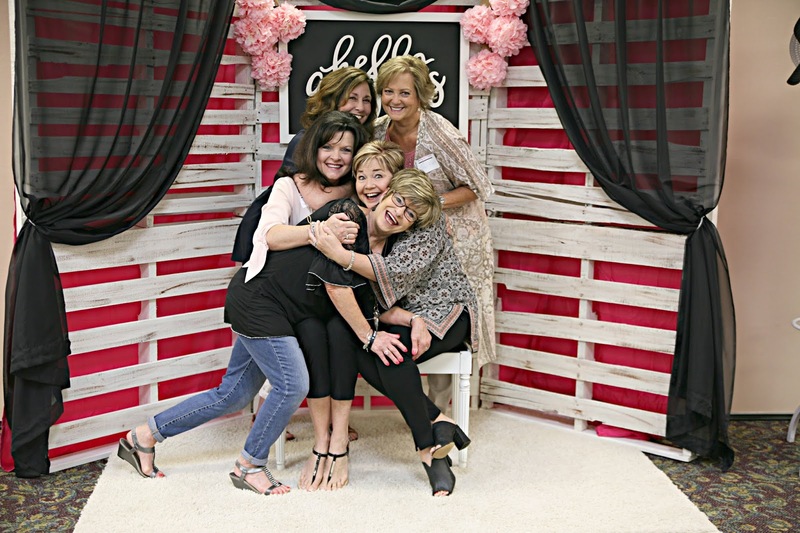 Those Ladies Retreats are always such an inspiration and it looks like you all enjoyed a wonderful time together. 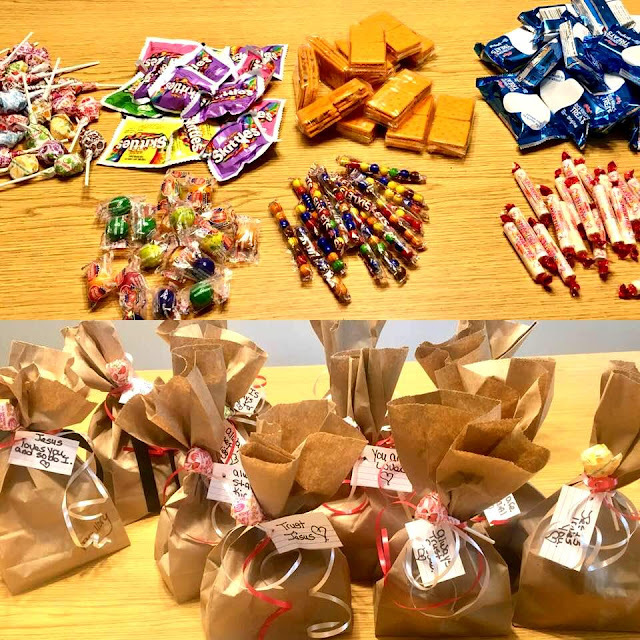 Such a tremendous ministry your Sunday School has going and those goodie bags done up by the teacher, WOW! Looks like you had your hand in making some goodie bags as well, very sweet. Thank you Susan . Oh i bet the tea will be so nice . Hope you do pictures to share . I love a tea party . Oh I bet your luncheon turns out so cute. Can't wait to see pictures Linda. You always do such fabulous things. O MY!! It sure seemed like it was quite a lovely event!! Loved seeing all your photos!! And your grand daughters look so sweet!! Thanks so much for stopping by!! Thanks Debbie. Hope you are doing well lady. I love your special things for the simulcast. 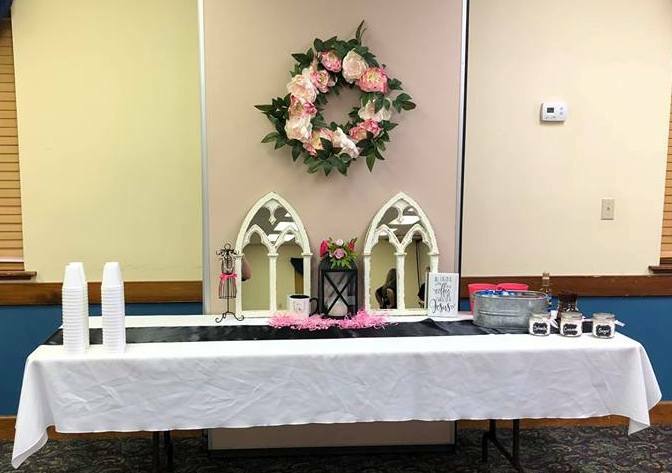 Our church also hosted the simulcast and it was wonderful! It always is but it seems it gets better and better every year. And I do love me some goodie bags. The ministry to your community is special and I know the people whose lives are touched by your outreach will be blessed. What darling granddaughters. My youngest is a 'princess', too.